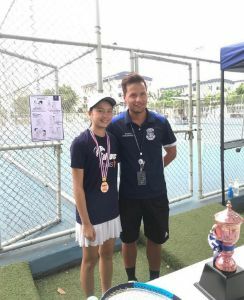 U15 Tennis teams and Falcons Swimming Academy competed at their BISAC last weekend. 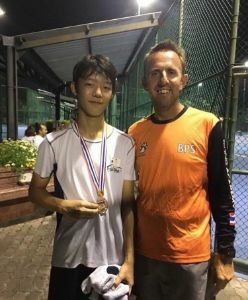 Jetaime Suparada Triyanond (Year 10) and Luke Doi (Year 11) came in third in their respective tennis singles events. 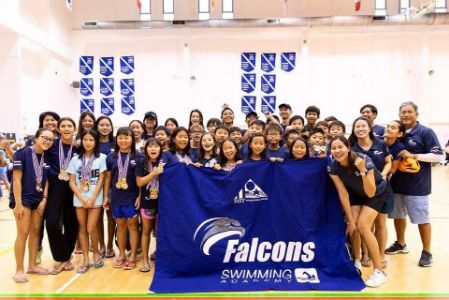 Falcons swimmers were equally impressive and collectively bagged 15 gold medals, 15 silver medals and 14 bronze medals, in their individual competition. 10 Years Old Girls also got first place for their team award, 4 other age groups finishing second and 2 other age groups finishing third in the team events. Huge congratulations to Falcons Tennis and Falcons Swimming academies. BISAC Senior on Sunday, 17 March 2019 at Bangkok Patana School.